This is the beginning of a series of post dealing with AspForm unit tests. We have two options for running Unit Tests. Both have advantages and disadvantages. Note: You need to STOP the above server for the following to work. 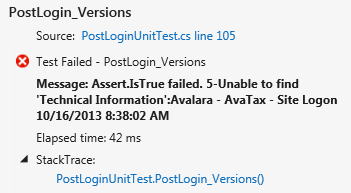 The AspNetDevelopmentServerHost must be pointing at the source folder you wish to test. The Web.Config is rewritten at the start and at the end of running unit tests. Occasionally you will get error messages about web.config being locked by another process. 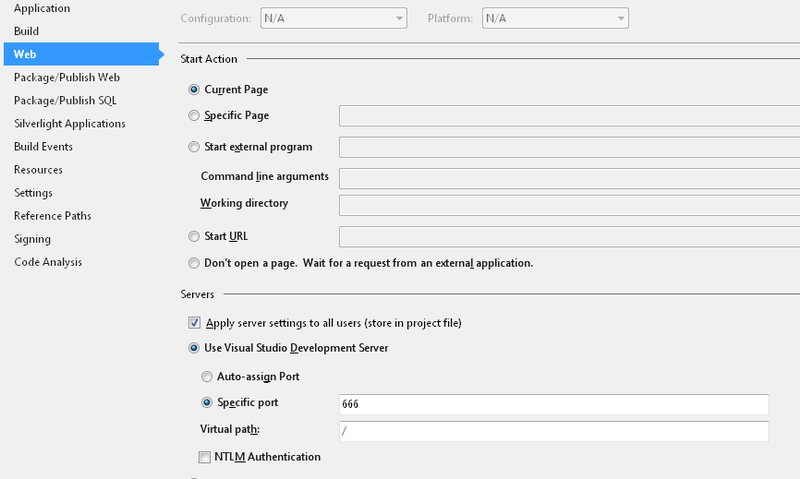 If you have multiple branches, then by just changing the IIS settings to point at each branch, you can run the tests against each branch without touching the files.